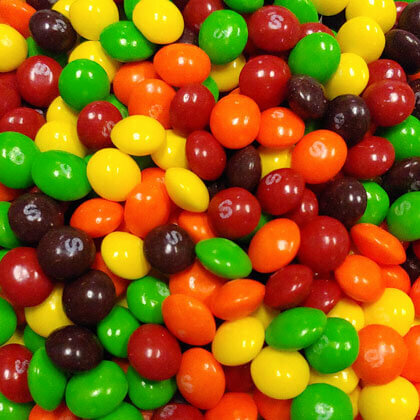 Skittles fruity flavors of lemon, strawberry, orange, grape, and NEW green apple! Approx. 24 pieces per ounce. 12 oz bag.